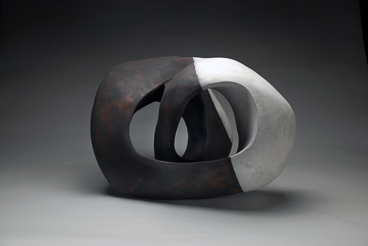 Working with earthenware clay, students will use handbuilding techniques to explore the vessel as both a sculptural container and an abstract object. Beginning with small maquettes, students will experiment with shape and proportion, brainstorming directly with clay. This collection of rapidly developed three-dimensional sketches will become a resource for the rest of the workshop. With a focused study of proportion, structure, and surface, students will learn to translate these solid objects into hollow forms. 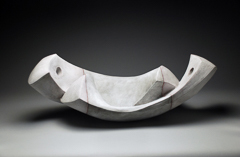 Students will build double-walled vessels through pinching, coiling, and carving, using these techniques to explore issues of scale. Completed work will be bisque fired at the end of the workshop. Open to all levels. Jerilyn is a studio artist in the village of Greensboro, VT. She creates hollow ceramic sculptural forms as well as utilitarian pottery. 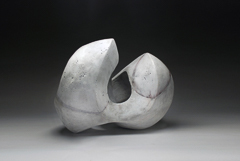 Before relocating to the Northeast Kingdom of Vermont, she was a studio artist in Mitchell County, North Carolina for 10 years, and in 2006 she received a North Carolina Arts Fellowship Grant. She was an artist-in-residence at Penland School of Crafts from 2001-2004. She received her MFA from Southern Methodist University in 2001, studying both on the Texas campus of SMU and through SMU programs in New York City and Taos, New Mexico. 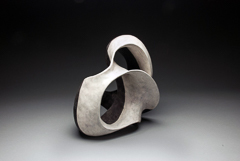 Before attending graduate school Jerilyn completed a two-year assistantship at the studio of Silvie Granatelli, in Floyd, Virginia. She graduated with a BFA from West Virginia University in 1997 and has also studied abroad at the Jing-de-zhen Ceramic Art Institute in China. 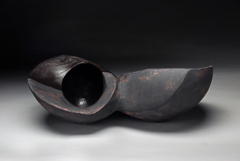 Her work has been exhibited at the Mint Museum of Craft and Design, and she also has work in the permanent collection of the Asheville Art Museum and NCECA. Selection of Ribs: rubber, metal, wood, etc.